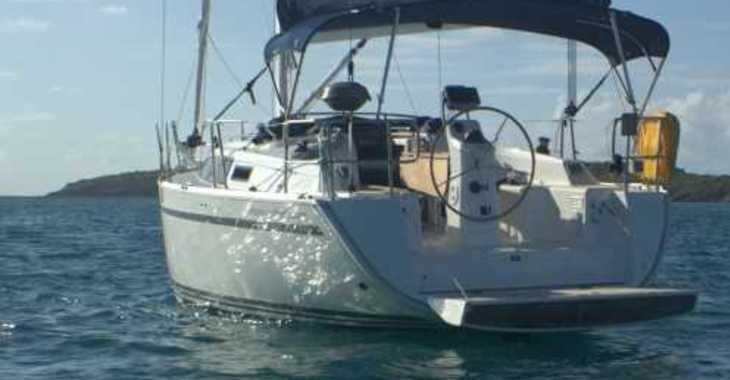 Accommodation more typically associated with a much larger boat characterizes the all-new Bavaria Cruiser 33. 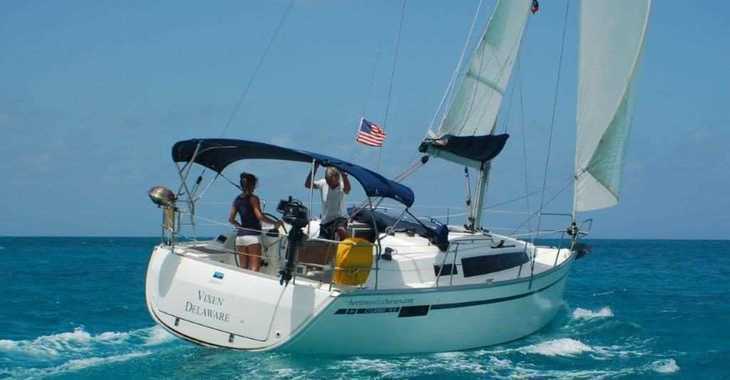 With two cabins fore and aft, and over six feet of headroom in the salon, the Bavaria 33 is ideal for a young family or a couple. 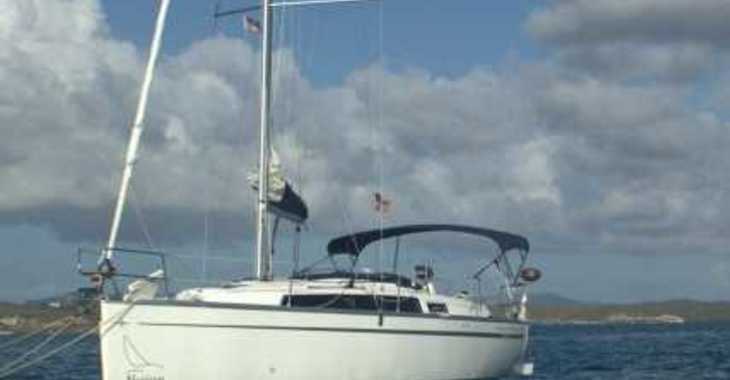 The decks are uncluttered with the halyards, sheets and reefing lines led aft to the spacious cockpit. 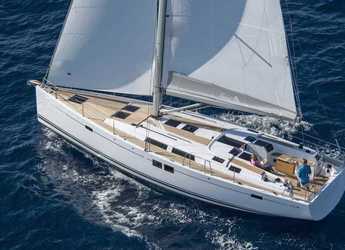 As with the entire range, the Bavaria 33 delivers the performance of a Farr Yacht Design, German-Engineered quality and innovative features including a bathing platform that spans the width of the stern. 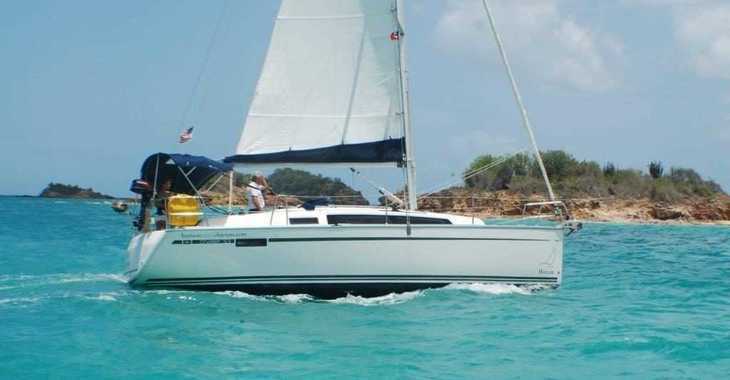 The Bavaria 33 has an optimized hull that combines sailing performance with interior volume and cockpit space. 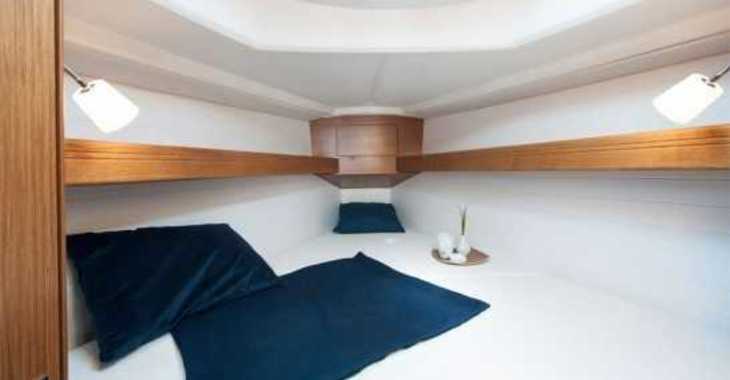 Below decks, the coach roof gives 6ft 2” (1.87 m) headroom. 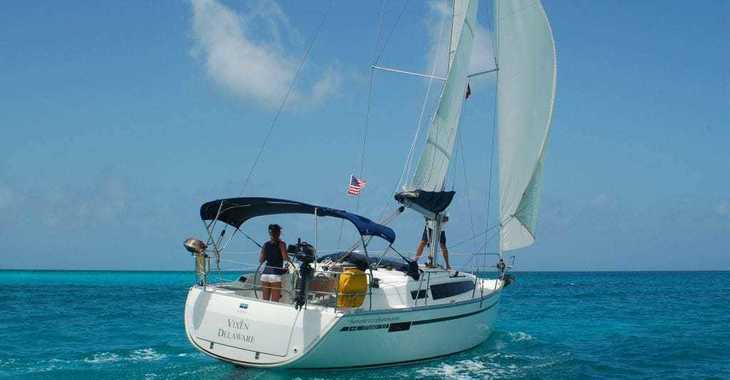 There are two generous double cabins and a head and shower. 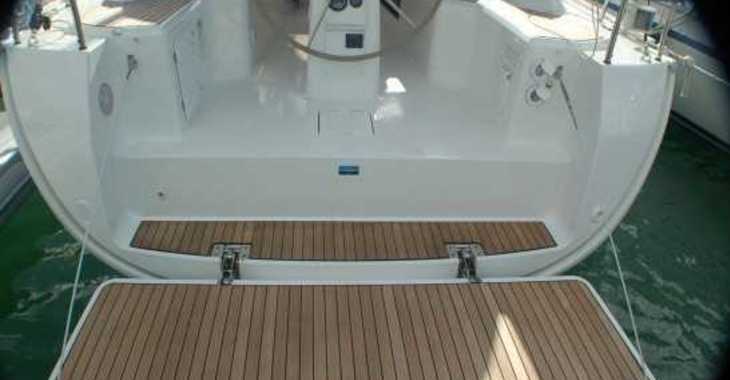 The new deck configuration is completely uncluttered, with the genoa tracks mounted on the coach roof, keeping side decks clear and giving a close sheeting angle. 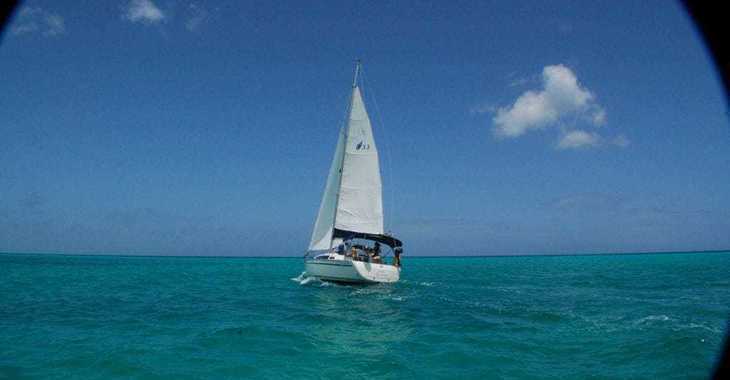 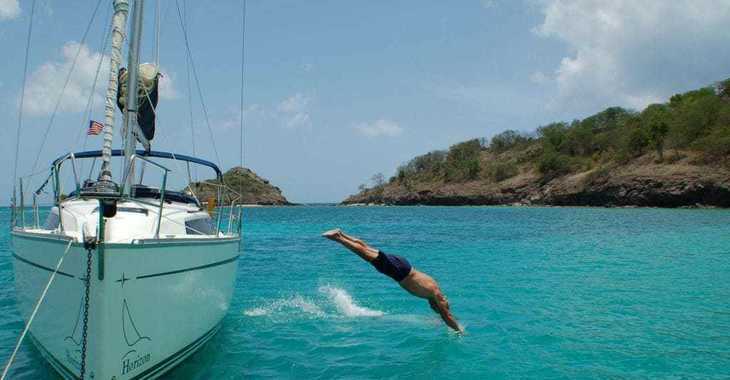 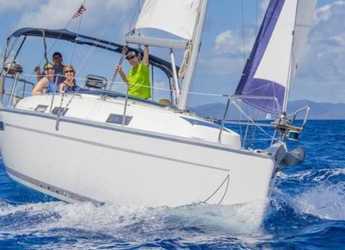 The mainsheet is a simple block and tackle purchase system trimmed conveniently from the leading edge of the cockpit table, to give a “keelboat meets yacht” trim-ability. 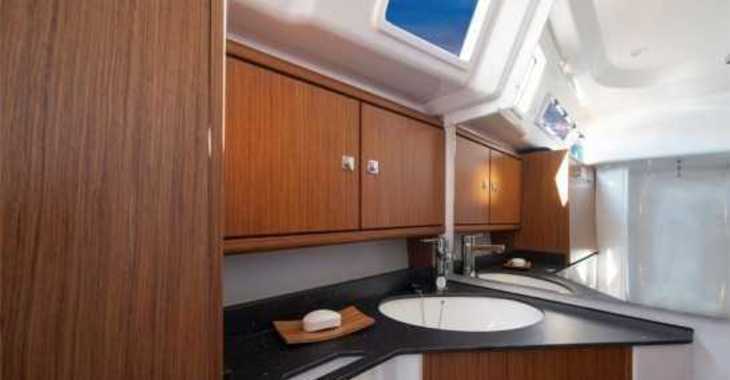 The subtle curve of the transom, not only makes her less boxy than her competitors but also means that when the transom is lowered to become the swim platform, the platform is projected further giving an impressive 16 square feet (1.52 sq.m) of swim platform! 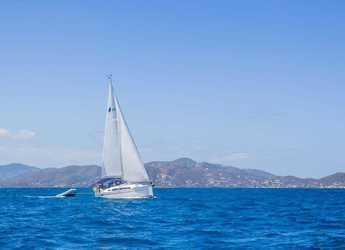 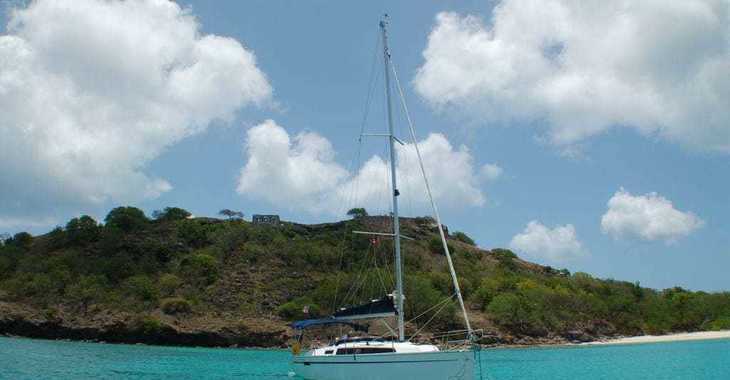 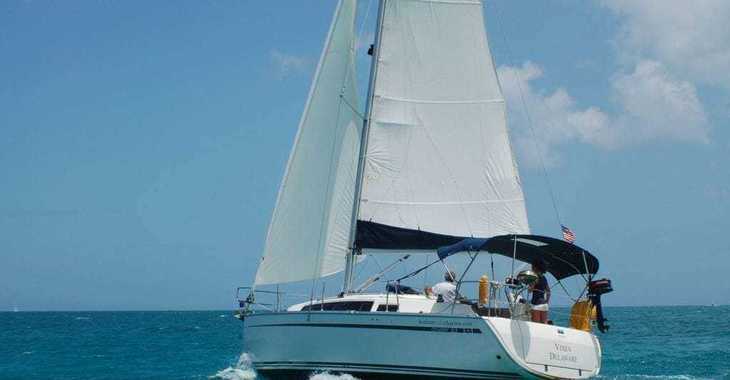 Our Bavaria 33 charter yacht benefits from additional features including upgraded engine, fully battened main for better sailing performance and a chart-plotter in the cockpit.